In the past, quality Guided Imagery was hard to get access. You had to find a qualified practitioner, make office appointments and attend them much like traditional therapy. While this was very useful and many people benefited from their findings and growth, it also had it’s limits. Pursuing a qualified source of guided imagery was out of reach for most people. This unique set of tools was the domain of professional athletes, top cancer treatment facilities, and powerful management consultants. Yes, you could find and pay for hourly sessions, but it wasn’t convenient and it was very expensive. In fact, our founder and the creator of our exercises was paid $1000 per person to train corporate employees just two years ago. Technology and the internet have now matured enough to support a dynamic and powerful system of exercises through the interweb. Imagery Connection has been designed to do just that. 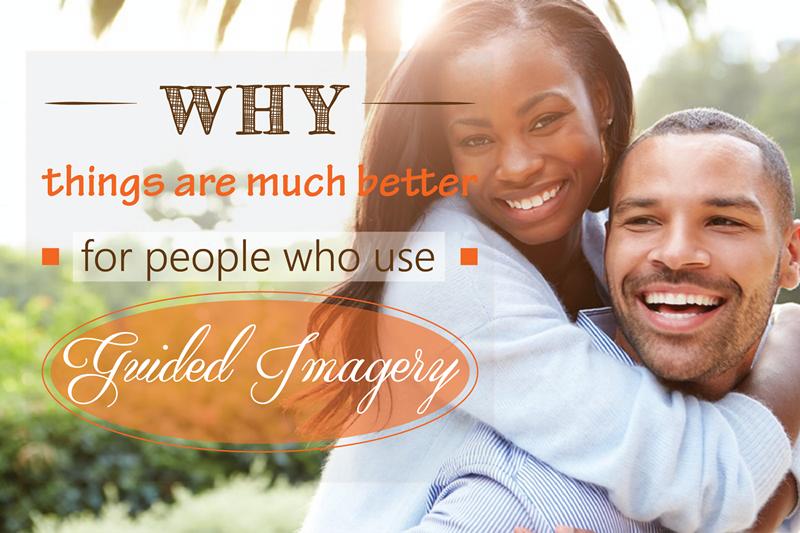 You can enjoy the power of imagery when it supports you the most. The exercises on Imagery Connection are specially formatted to be short efficient and categorized in meaningful ways, so they are easy to use when you need them. Our subscribers enjoy a growing library of exercises that support everything from athletics to personal relationships and post-traumatic disorders. Another interesting finding about imagery is that it is typically more effective and easier to enjoy when accompanied by relaxing music. The twist to this music is a very personal choice, and each of us will have a preference. In a traditional office setting, many people suffered a lack of positive effects from music that was distracting or non-supportive. Now this is not a dig at other professionals out there it is simply reality. Most people will not question an authority in their practice and will accept the methods only to be disappointed due to something that can be easily changed like music. Now you can enjoy powerful sessions backed by music that you choose. When you choose the music you have running in the background as you practice, you set the stage for an optimal experience. We recommend that you find music that you might use to assist in sleep or relaxation. Remember you want to slip into an altered dreamlike state, and club music probably won’t be an excellent choice. The good news is Guided Imagery Meditation is now easy to integrate into your life like so many other successful people have already done. Technology and the quality of what is available has opened up possibilities for everyone to capture the benefits of this wonderful tool.